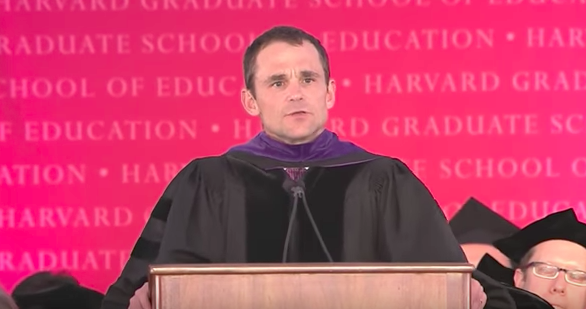 It’s the season of moving up ceremonies, graduations, commencements, and end of year celebrations, so it’s not surprising that I came across a thought-provoking commencement speech on youtube tonight. I love graduations. I really do. I love what they represent. The culmination of all of the hard work. The pride. The joy. The unknown but limitless futures ahead. The hope. The trepidation. But the best part… an inspirational speech. I absolutely love a good graduation speech. Below is my summary of Dean James Ryan’s 5 Essential Questions in Life that he shared as part of his remarks at the 2016 Harvard Graduate School of Education’s Presentation of Diplomas and Certificates. “Wait, what?” In this question, Ryan stresses the importance of inquiry before advocacy. He explains that it’s important to understand an idea before you choose to advocate for it or against it. The “wait” part of the question “Wait, what?” serves as a reminder for us to slow down to make sure understanding sinks in. As a community, what are some ways that we can nurture this type of thinking at Park? The third question starts with “Couldn’t we at least…?” When we’re feeling stuck, we can use this question to help us get unstuck. When we’re not sure where we will end up, this question can help us begin. When implementing a new innovation or trying something new in our teaching practice, this can be our launching point. The fifth and final of Ryan’s questions is “What truly matters?” We can use this question personally: “What truly matter to me?” We can also use this question as an institution: “What truly matters to Park?” This question can help us focus and get to the heart of the matter. This question reminds us to reflect on Park’s mission and values. To watch the entire Commencement Speech, click here.